Want to spruce up your home without spending a lot? 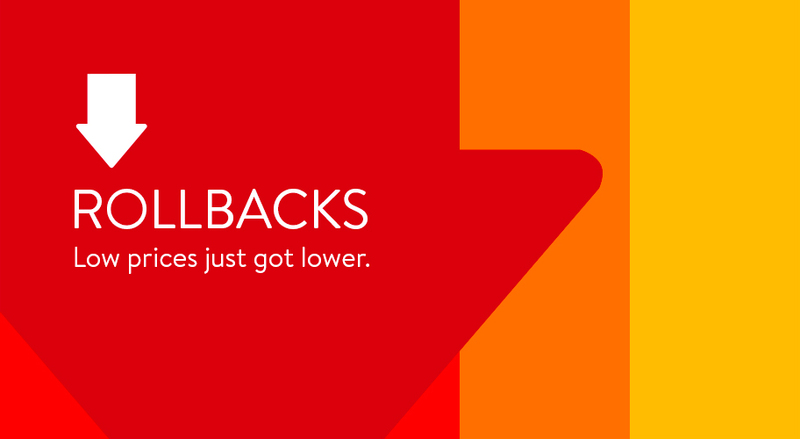 With Rollbacks on all things home, you can get what you need to refresh every room, for less. Shop furniture, appliances & kitchen & dining faves. If you re wondering where to start when it comes to furniture for your kids bedroom, you're not alone. Choosing the best type of furniture and accessories for your little ones takes patience, and you want to choose items that'll grow with them through those precious early years. Children grow quickly, so it's important to create a pleasant environment for your little ones while considering their ever-changing needs and preferences. At Walmart, we have a huge selection for kid' furniture at Every Day Low Prices, helping you make the perfect choices while sticking to the budget. Kids sleep longer than adults, so you need to pay careful attention to the bed frame and mattress you choose for them. A proper mattress is essential for their health, and you should take into account factors such as support type and comfort level. Whether you're looking for a kids' size bed, a single bed or bunk beds, it's essential to look for a sturdy wood or metal frame that accommodates your mattress of choice. Safety is also very important; if you opt for bunk beds, make sure the product includes safety rails on the top bunk. The main support types of mattresses for kids are innerspring open coil and innerspring pocket coil. Memory foam and latex mattresses are also available, and they provide good support for growing children. Many kids suffer from allergies, but you can use a hypoallergenic antibacterial mattress cover whenever necessary, especially on mattresses that contain latex. Kids and clutter are synonymous; it's essential to have lots of storage furniture in their room to keep everything well-organized and maximize the space for play, work and sleep. Storage boxes and units are available in numerous shapes and sizes, so your little ones can clear up their toys easily. Besides being functional, storage boxes also enhance the look of the room. Look for clever under bed storage solutions for those seasonal items that you don't need frequent access to. Don t forget about bookcases. These give your little ones a cool place for all their favorite books. A chest of drawers is a great idea for your little one s clothes and accessories, as it offers easier access than a regular wardrobe. A low table and children-size chairs create the perfect spot for little ones to play alone or with their siblings or friends. A table set is ideal for tea parties, coloring, puzzles or building with blocks. Choose a table and chairs made from painted wood or colorful plastic; these options are easy to clean. Other pieces of furniture that also work well for an older kids' bedroom are a small desk and chair and a beanie bag that provides them with lots of fun and comfort. A good place to start when you're looking to update your kid's bedroom, soft furnishing options come in multiple colors and themes so you can find the ones that'll truly bring your little one joy. Complete the decor of the room with soft furnishings such as cushions, curtains and rugs that feature cartoon or superhero characters. Soft furnishings add coziness and warmth to a room while also being functional. Kids grow up fast, so if you're looking for a type of furniture that they can call their own for years, transitional furniture is your best choice. For example, a trundle bed is ideal for a toddler while still being suitable for a young child. Moreover, trundle beds are also perfect for a little sibling while being compact enough to fit into storage under a loft bed. Alternatively, a small bookcase that your toddler uses to store soft toys can transform into a proper bookcase in a couple of years. Older children and tweens need dedicated space to do their homework, so consider a proper desk and chair, as well as adult-sized bookshelves to store their textbooks and notebooks. Look for an ergonomic desk chair to protect your kid's posture. For kids who love to read, a bean bag and a floor lamp in a corner of the room make a wonderful retreat.